light green color and unique taste! 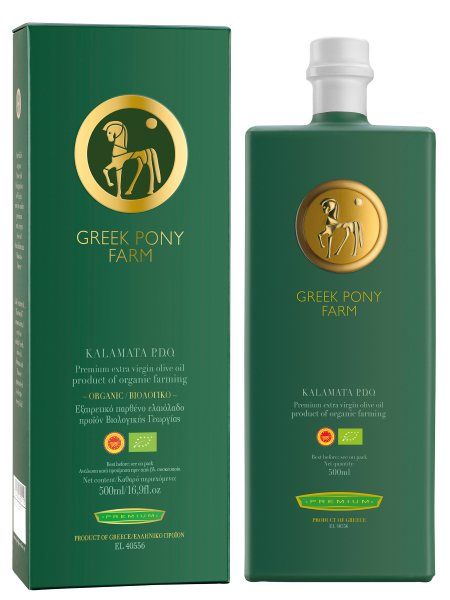 Protected Designation of Origin ‘Kalamata’. From selected olive trees of the Farm. Cold pressing of less than 24 hours. Available in glass bottle of 500ml with individual box. 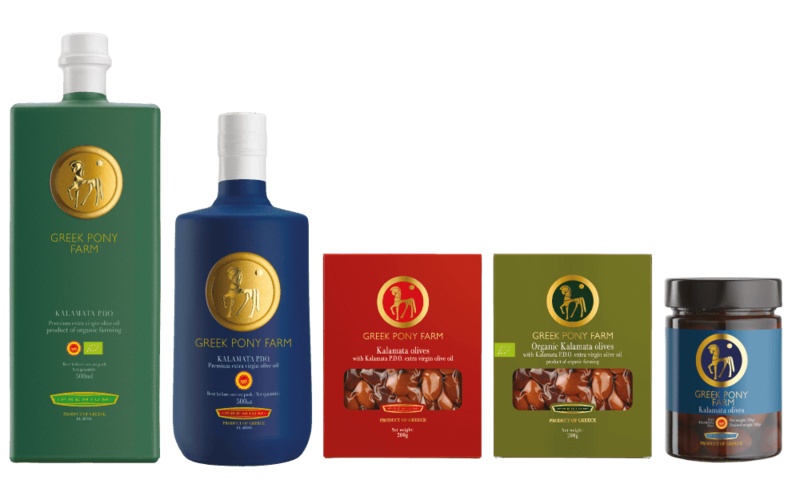 Our olive oil is of a very high quality and it is produced through sustainable process. The way we cultivate, collect and mill the olives helps in order to produce this unique olive oil. The taste, the aromas and the natural characteristics of our olive oil are preserved intact. We use techniques and materials that do not harm the environment. We cultivate in an organic way for more than 20 years.